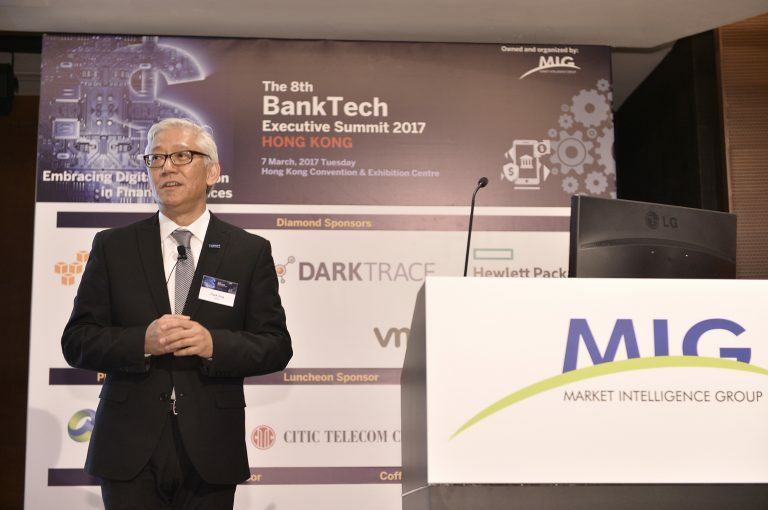 ‘Exploring digital disruption in financial services’ was the theme for the 8th BankTech Executive Summit that took place on 7 March 2017 in Hong Kong. 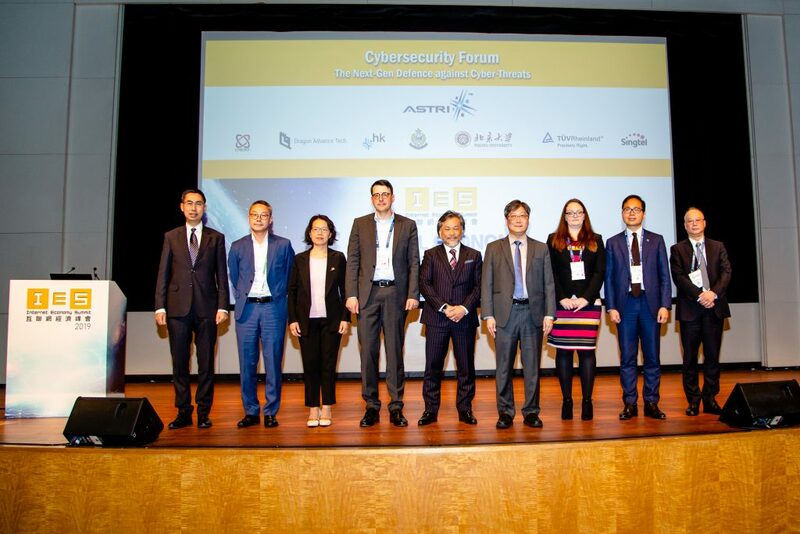 Some of the most senior and accomplished executives from the banking industry, eminent technology leaders and FinTech experts took part in a day-long lively discussion on how FinTech is transforming banking; and how Hong Kong can rise to FinTech leadership in Asia-Pacific. 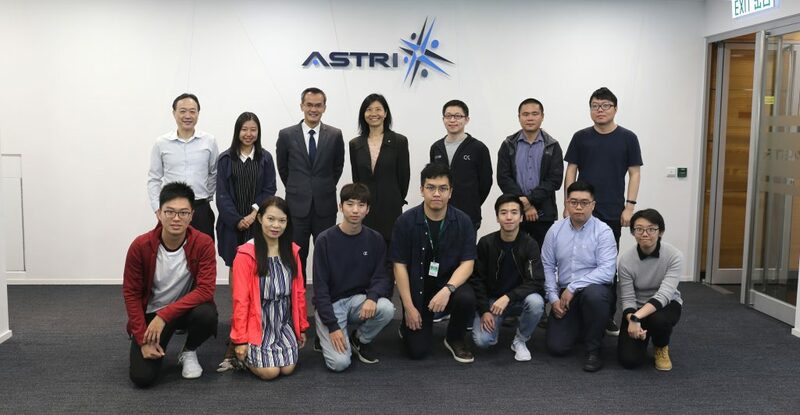 Dr Frank Tong, CEO of ASTRI, delivered the opening remarks. 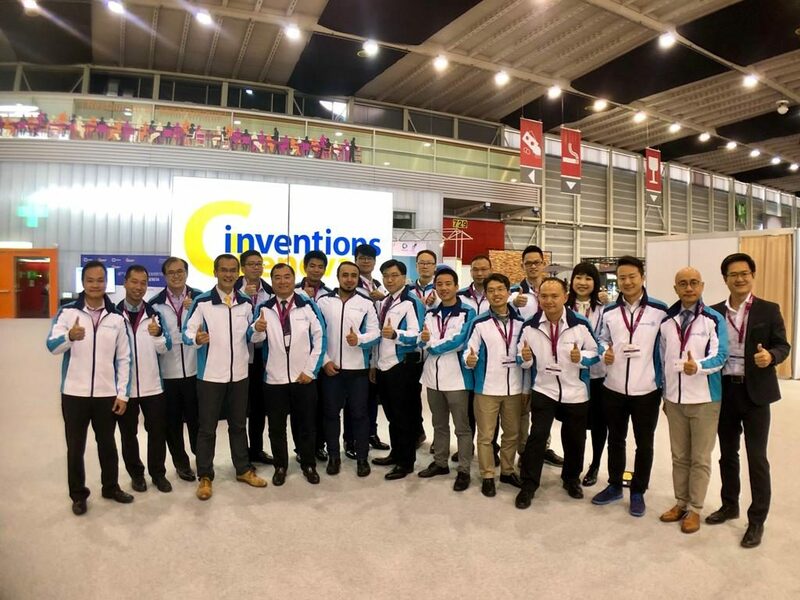 Dr Tong pointed out that what is seen as ‘disruptive’ today will soon become industry norm, and Hong Kong must build a strong FinTech ecosystem to remain competitive in the global space. 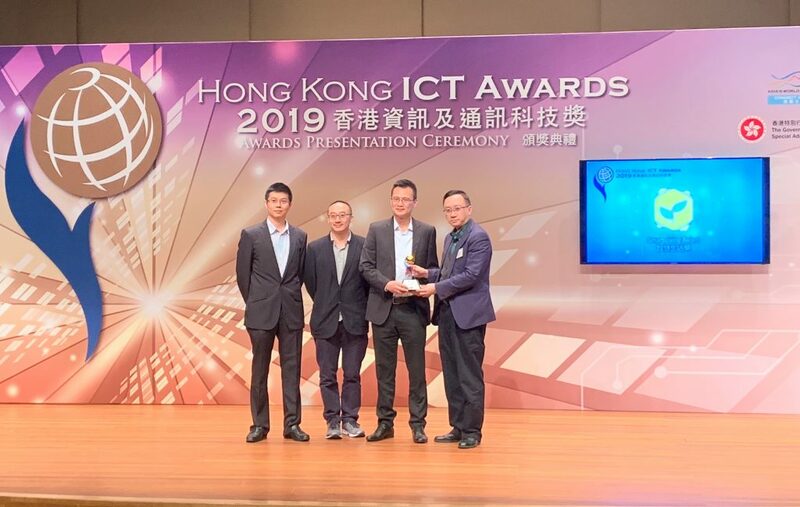 Dr Tong said Hong Kong must take charge in FinTech by leveraging its role as the regional hub, a super-connector between Mainland and the world. 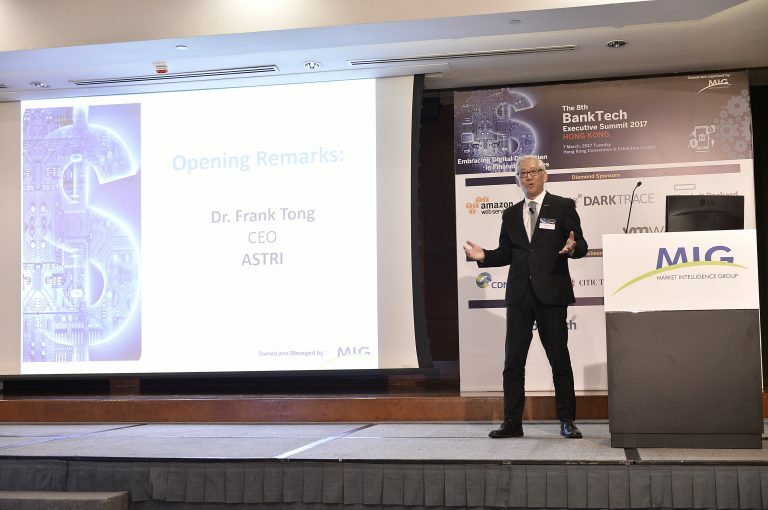 Dr Frank Tong, CEO of ASTRI delivers the opening remarks at the Summit. 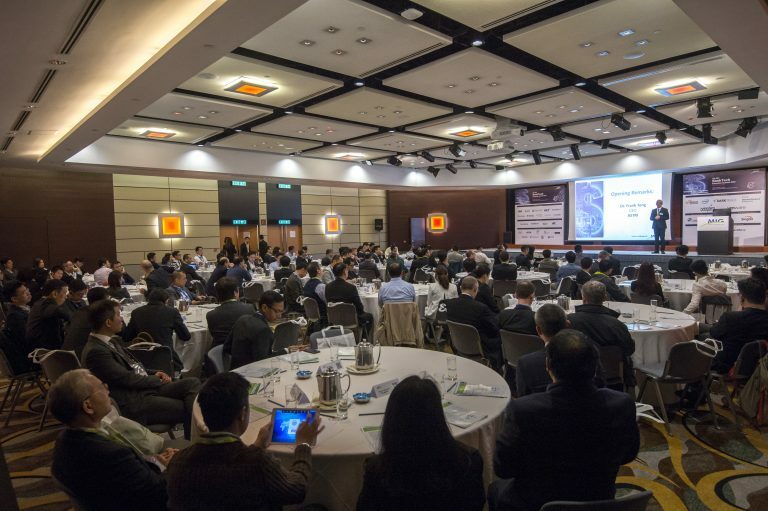 A large group of leaders and senior executives from banking industry and eminent technology attend the Summit.